A merchandise pre-order system will be available to Fan Fest Paris ticket holders to allow them to plan ahead and secure their desired items ahead of time via a dedicated merchandise store website. Emails will be sent to ticket purchasers containing a unique coupon code that will allow them to place a single order on the Fan Fest Paris merchandise website. If you have purchased two, three, or four Fan Fest Paris tickets on a single email address, you will receive the corresponding number of codes in separate emails to distribute amongst your group. The name of each attendee will be included in the email subject line to allow you to more easily differentiate between code emails. Once orders are completed, items will be shipped directly to customers, free of charge, ahead of the Fan Festival 2019 in Paris. Orders will be dispatched in early January, to ensure that all customers will receive them in time for the event. Due to international shipping restrictions, the Square Enix Store is only able to ship items to a specific range of territories in the PAL/European region. 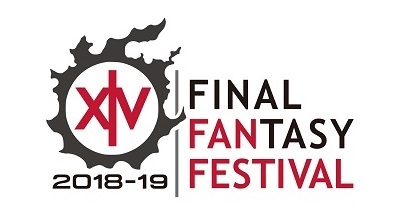 To ensure that attendees residing in other countries also have full opportunity to pre-order merchandise ahead of the event, customers residing in other countries will be able to arrange to pick-up their orders on-site at the Fan Festival in Paris during event hours on February 2nd and 3rd, 2019, free of charge. To do so, please select your country of residence in the dropdown menu when completing your order. If you reside in a territory that is not eligible for shipping, you will be notified that you will need to collect your items on-site at Fan Fest in Paris. Please click here for the full list of countries eligible for free shipping. Payments will be processed. Orders that we could not collect payment for after multiple attempts will be cancelled. Customers will be emailed to alert them of the coming charge.